Rob B's post below has prompted me (finally) to get around to photographing this watch. In fact, it is having seen the really nice Walthams that Rob has been collecting for some time that influenced me to veer away a little from my normal diet of Hamiltons and try some of Waltham's offerings. I've also gained a better appreciation of just how important Waltham was in the US watchmaking scene and how good they were. 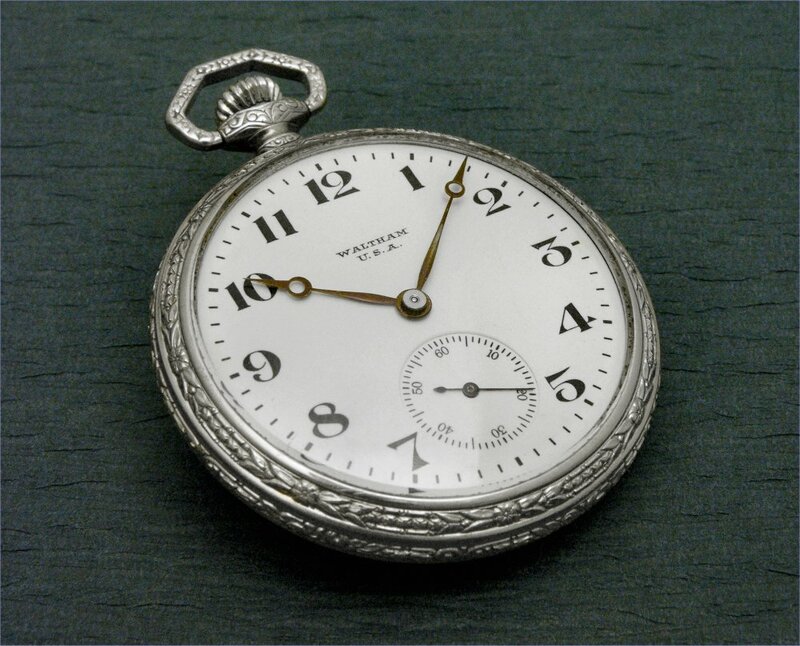 So, here's the result of my 1926 Waltham Model 1894 Premier, 21 jewel 12 size project. As Rob has mentioned these movements are none too common and when I spied an orphaned movement on eBay I snapped it up with the intention of building it up as a project watch. A nice high grade movement like this deserves to be put back into service and especially to be shown off so I decided to have the caseback converted to a display back by Rob to enable that. The movement was purchased as a non-runner but was in very good cosmetic condition. Rob needed to do a fair bit of work on it during the servicing including fitting a new balance staff and mainspring. The watch now runs excellently and with the display back it really is a very nice piece. 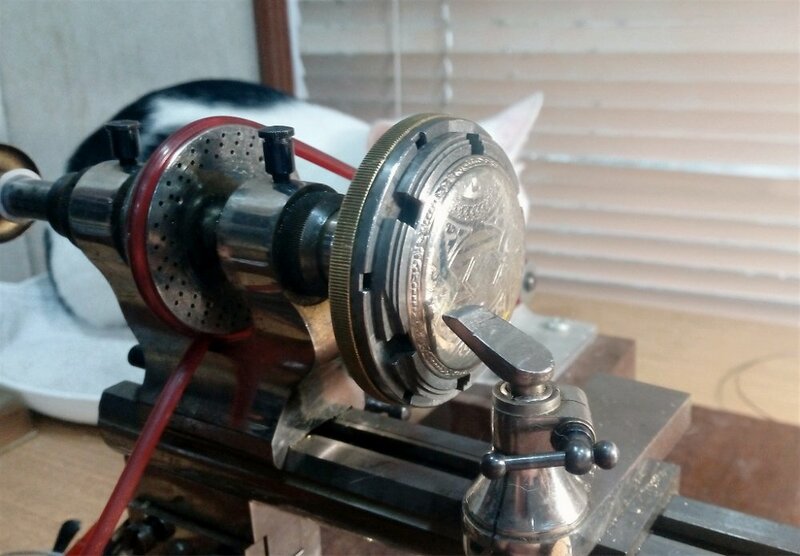 There are many high quality US movements around that have been orphaned from solid gold cases over the years due to scrapping for the gold content. At least a fair number of the movements are still with us. As Rob pointed out to me, in the past when the movements were considered to have little or no market value they would have simply been discarded much of the time when the cases were scrapped. Who knows how many nice high grade movements have been lost in this way. 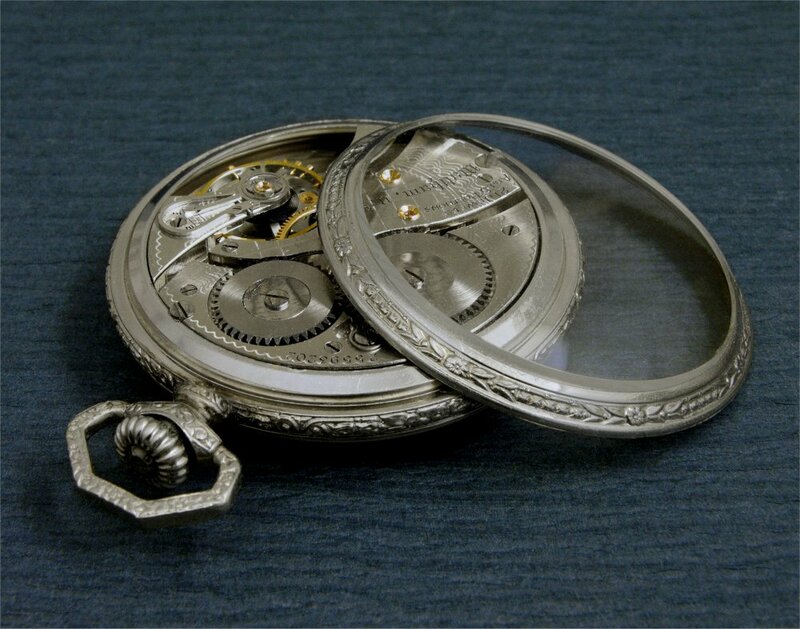 Even in more recent times when the movements are retained for sale they often suffer damage once removed from the protection of their cases, and if the dials and hands are also retained those are particulary vulnerable. 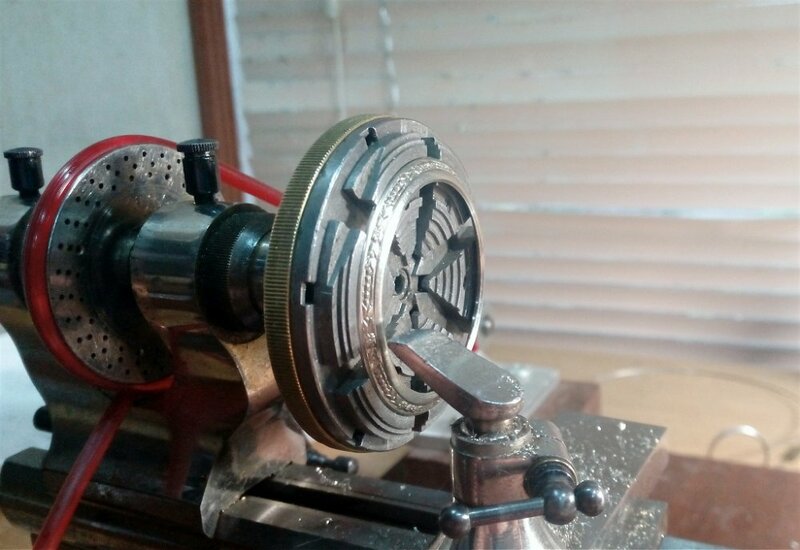 ...and here the aperture has been cut and the step for seating the crystal is being formed. It is interesting to note the price differential between a movement such as this 21 jewel 12 size and the lower grades offered by Waltham. 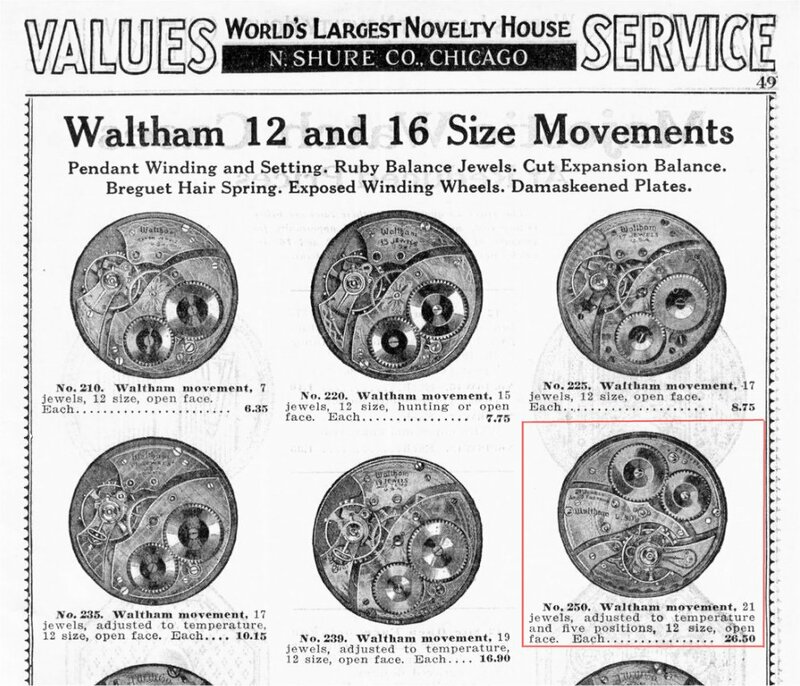 The catalogue page below shows a 21 jewel 12 size movement (I've marked it) offered for $26.50. That's three times the price of a standard 17 jewel movement at $8.75, and over four times the cost of a 7 jeweler at $6.35. 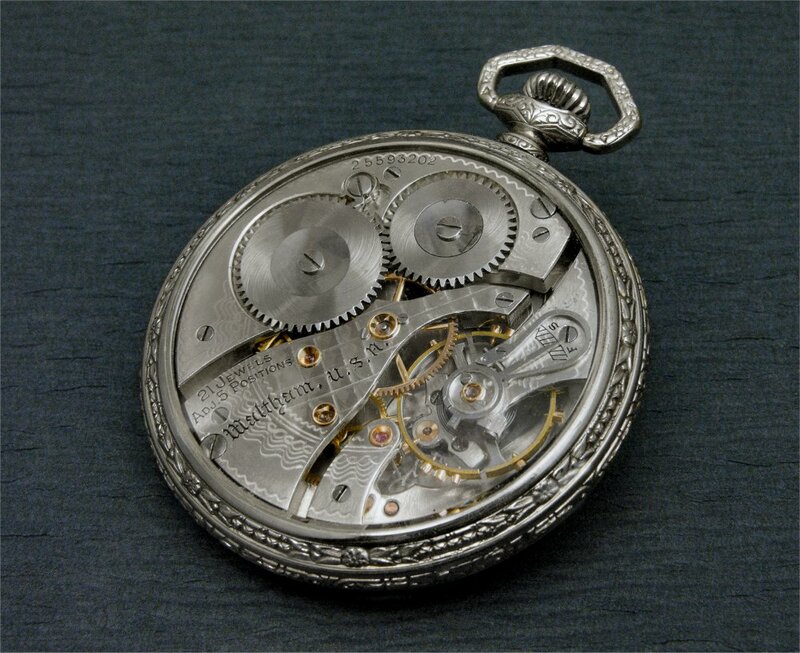 It's clear that a watch carrying such a high grade movement was a premium purchase at the time and with such movements often being cased in solid gold they would be affordable to only the more affluent.